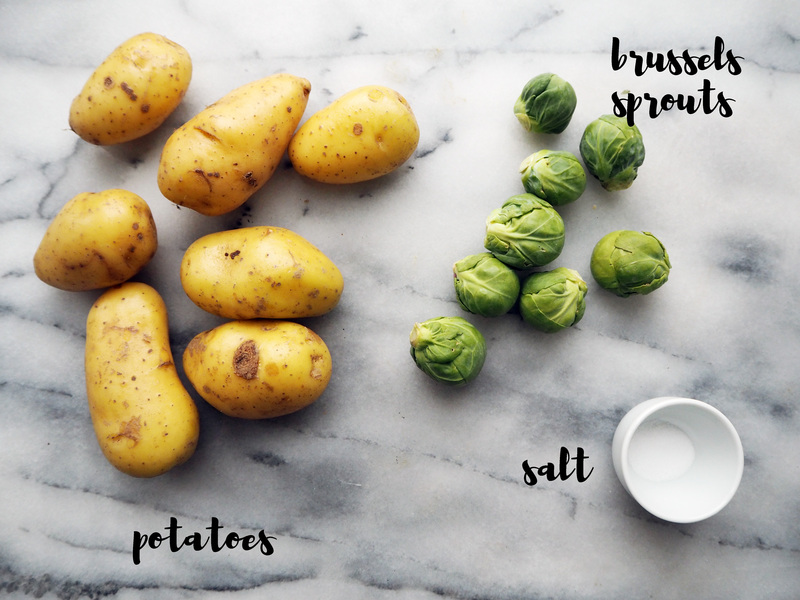 Turns out, vanilla and potato make a delicious combo! Yes, after I made the olive oil, I made a vinaigrette out of it. 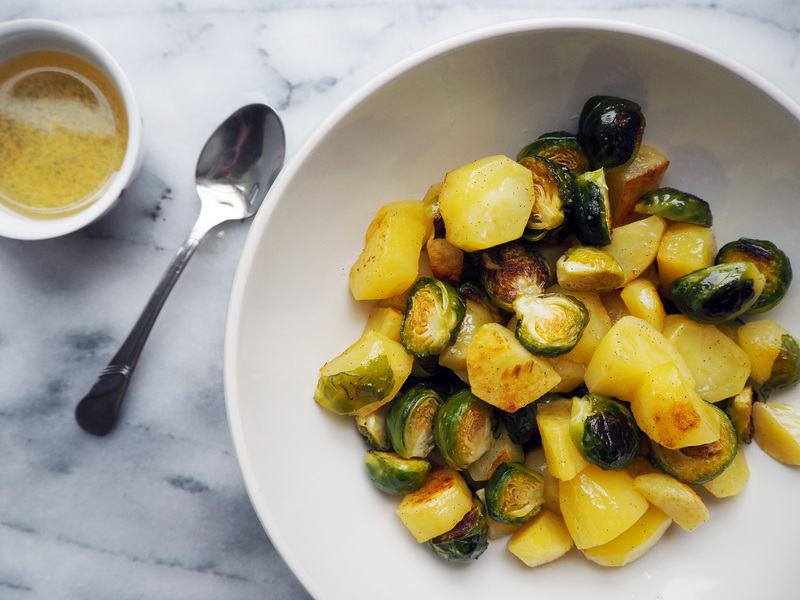 Then I roasted some potatoes and Brussels sprouts and used the vinaigrette to make a salad out of it…and they all lived happily ever after. Well, I have to admit that potato and vinaigrette lived happiest. 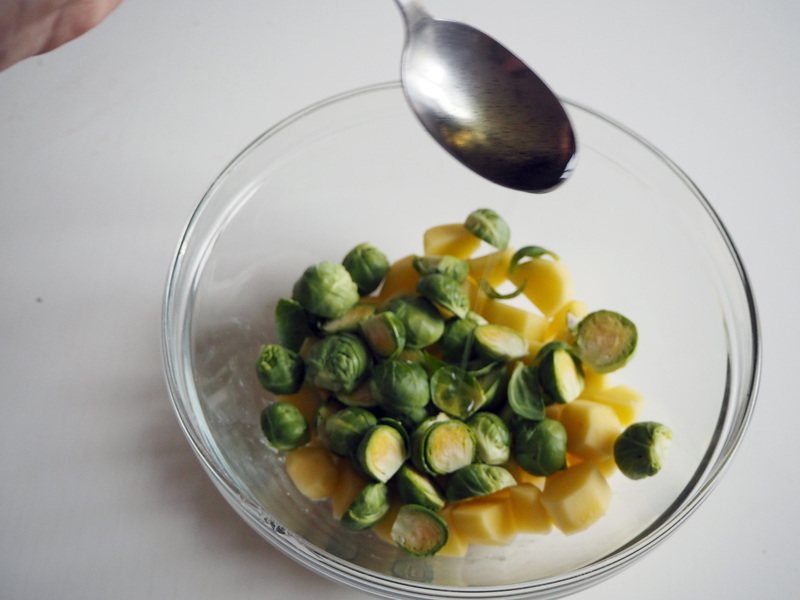 But the sprouts were not bad either. Next, I will try this special vanilla oil with some mashed potato. 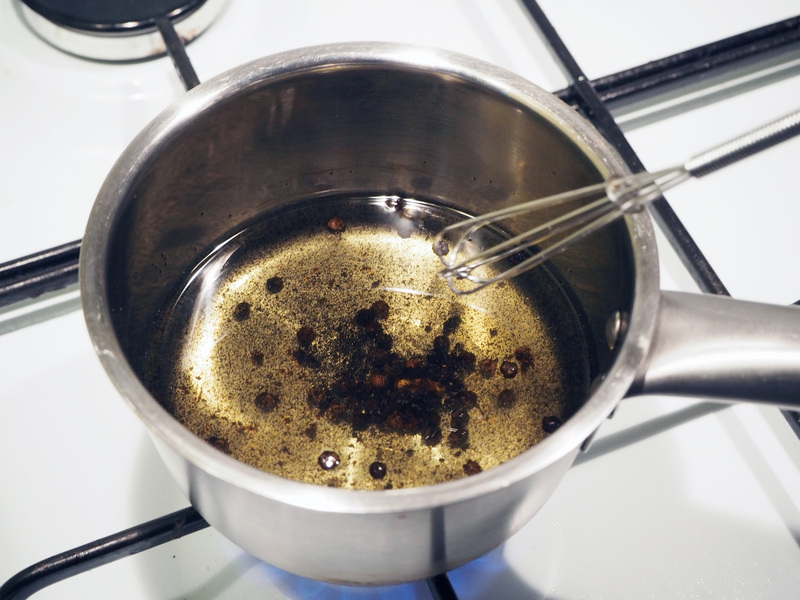 To make this recipe, you will have to plan ahead and be patient because you have to leave the oil for 4 hours so that it can absorb all the delicious flavours of vanilla and black pepper. You can of course make ahead a large batch and in a glass bottle you can use it for a long time. 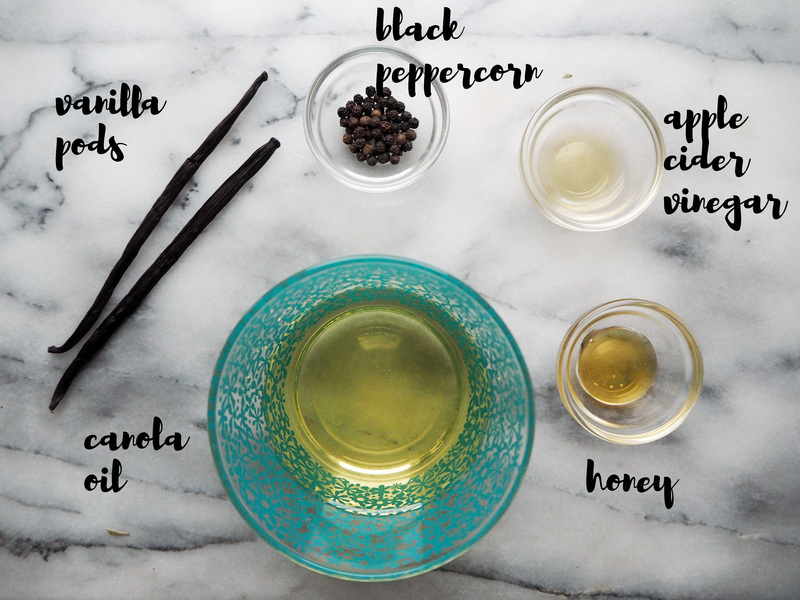 This little experiment was so much fun and so satisfying to make that I continued making other kinds of infused oils afterwards. I will share them in the future too! 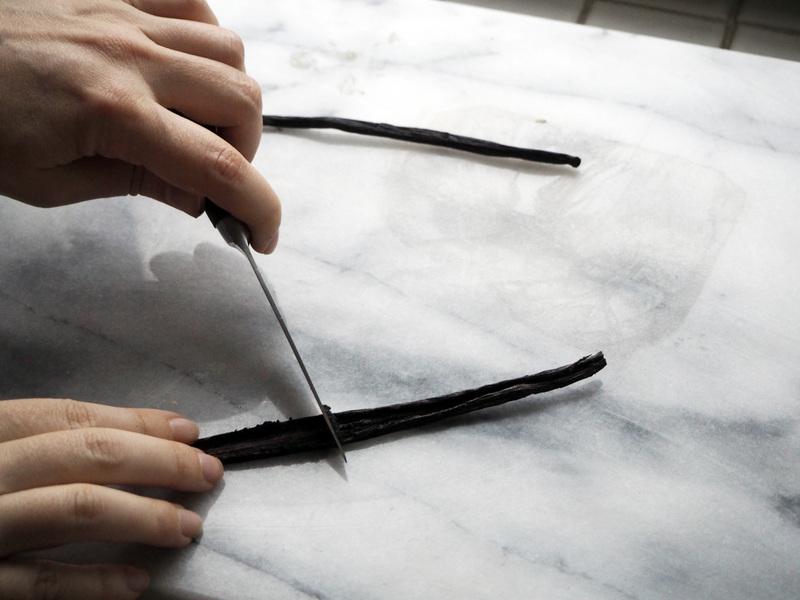 But for now, enjoy a new savoury taste with vanilla! 1. First scrape the vanilla pods as in the photos. 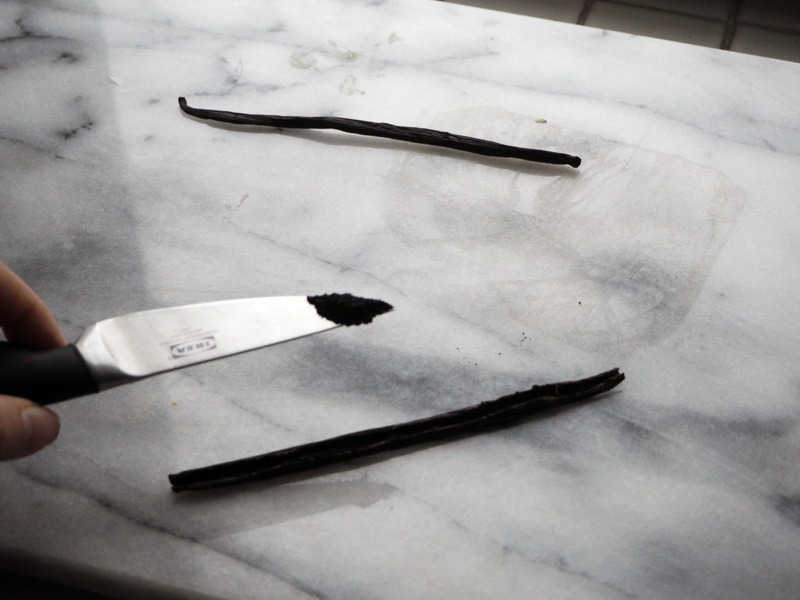 Keep the sticks, don’t throw them away – you can make your own vanilla extract with them (see step 4). 2. 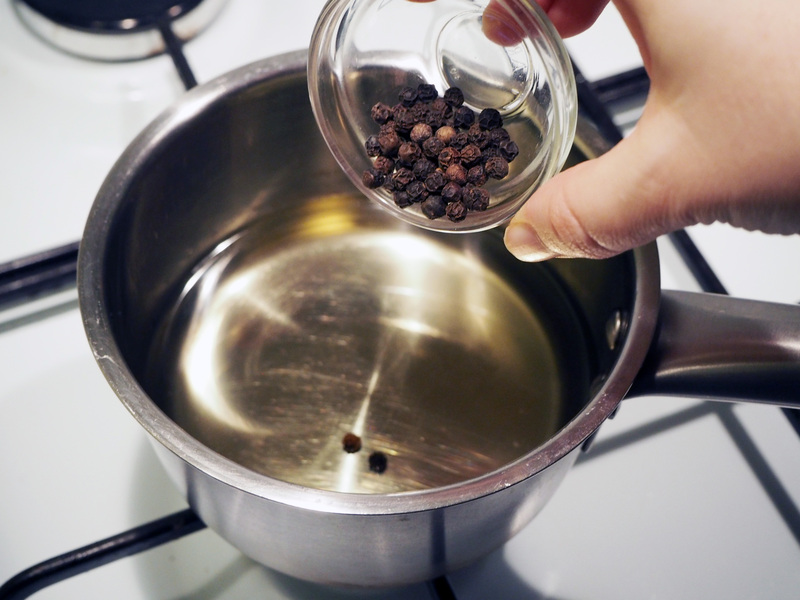 In a small saucepan, put canola oil, peppercorns and vanilla. 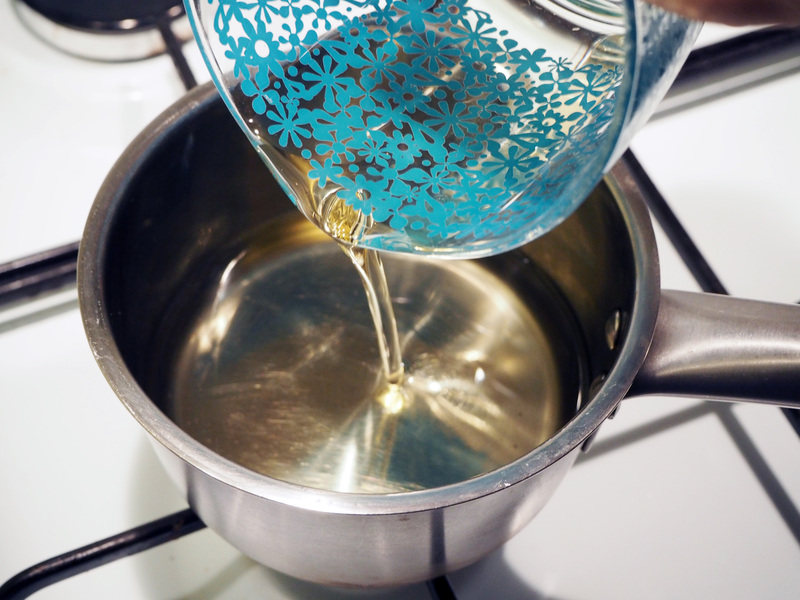 By continuously whisking, heat the oil mixture on medium until it starts to react (do not heat too much and fry the oil). 3. 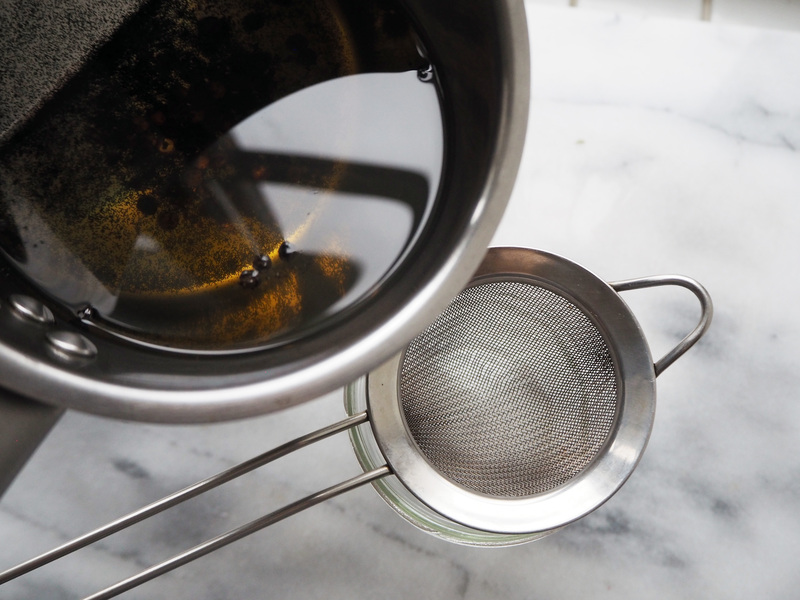 Take oil mixture away from heat and put aside. Let it sit for 4 hours in room temperature (cover the surface with a small lid). 4. In the meantime, put your vanilla sticks in a mini bottle with vodka (I used mini size Finlandia vodka) and close the lid tightly. 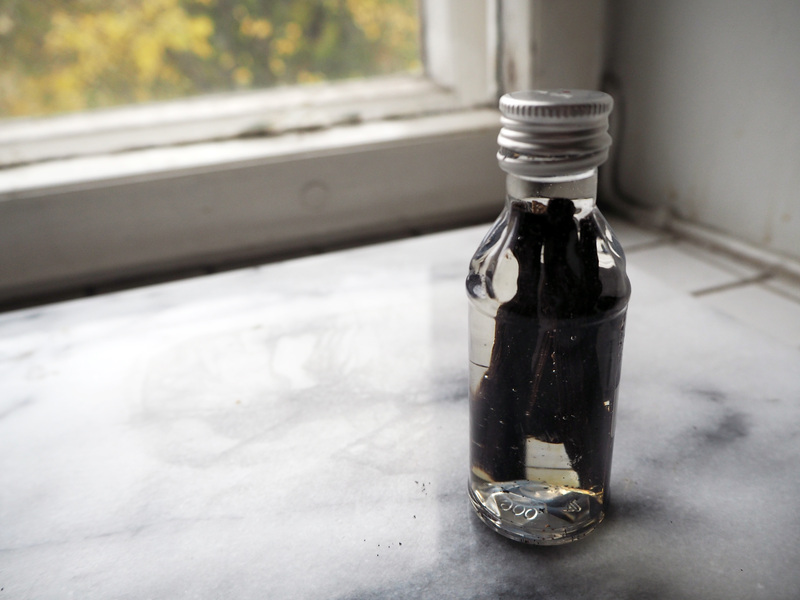 Put the bottle in a dark place, like one of your kitchen cupboards, for a month. Shake the bottle every now and then during this time. 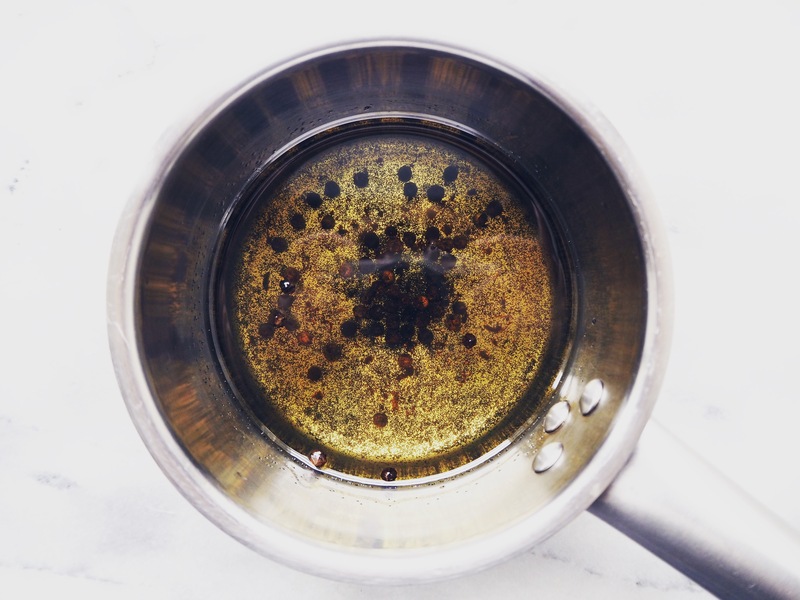 After a month, you will be able to start using it as vanilla extract. 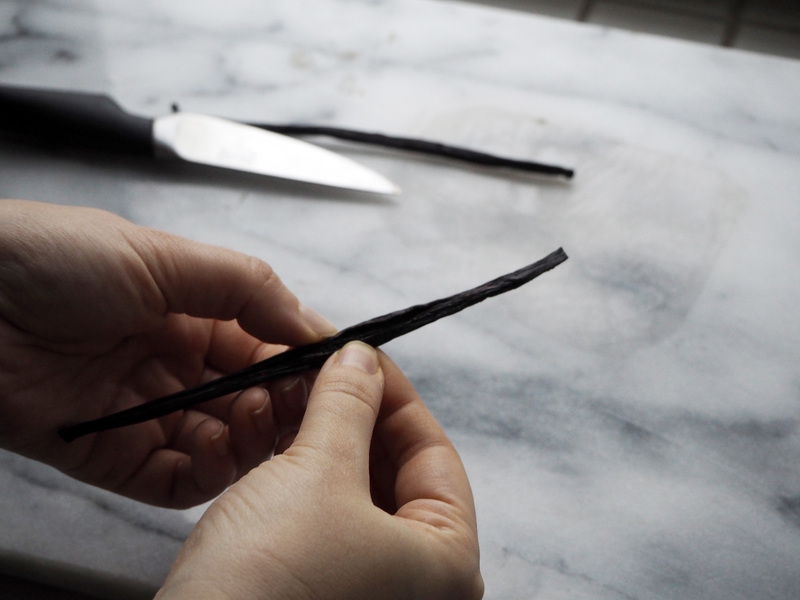 Keep the sticks inside the bottle even after starting to use it for ever increasing intense flavour. 5. 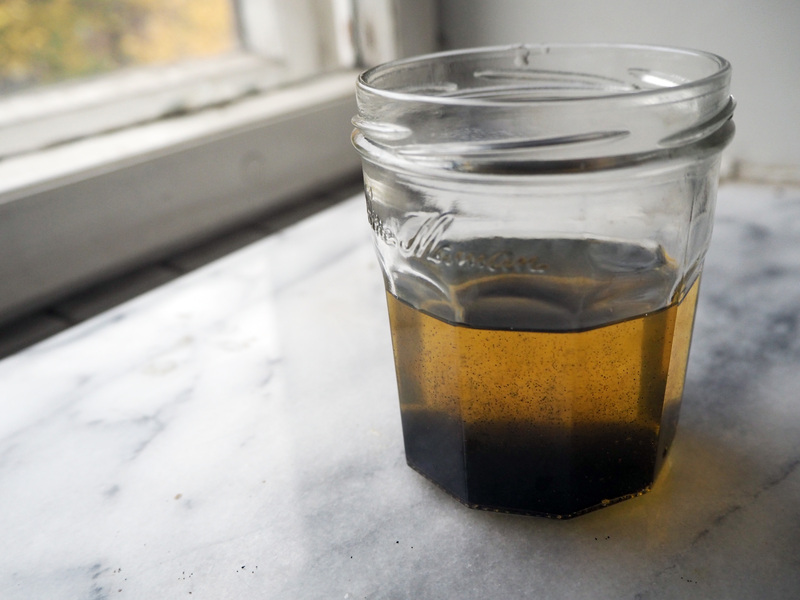 4 hours later, take a bottle or a jar and strain your oil mixture. 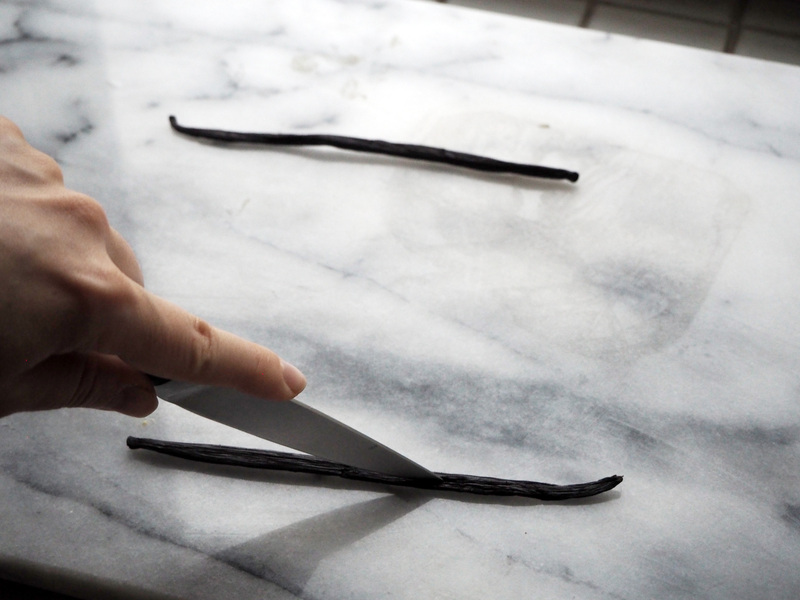 You will get the mini bits of vanilla in the jar still, which is good, it keeps on adding more flavour. Cover the bottle / jar and your oil is ready!! 6. 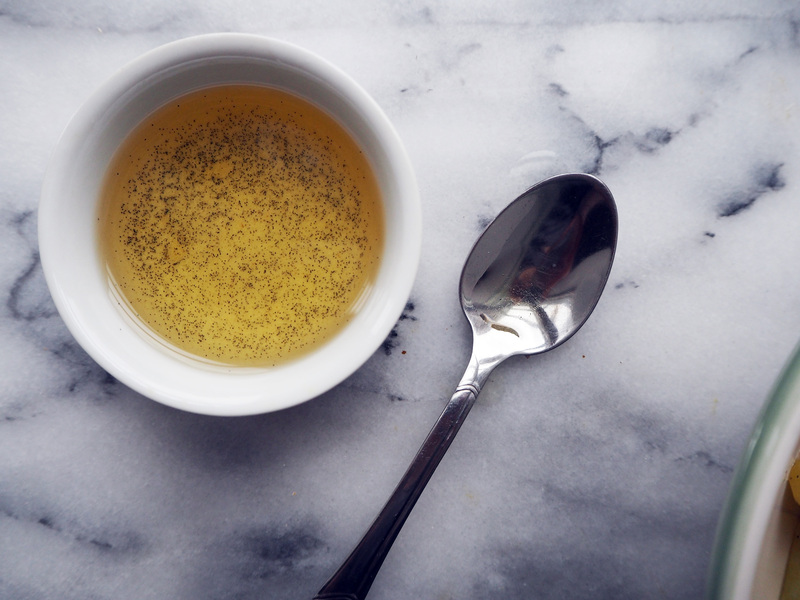 In order to make the vinaigrette just mix all vinaigrette ingredients well, and you’re good to go! 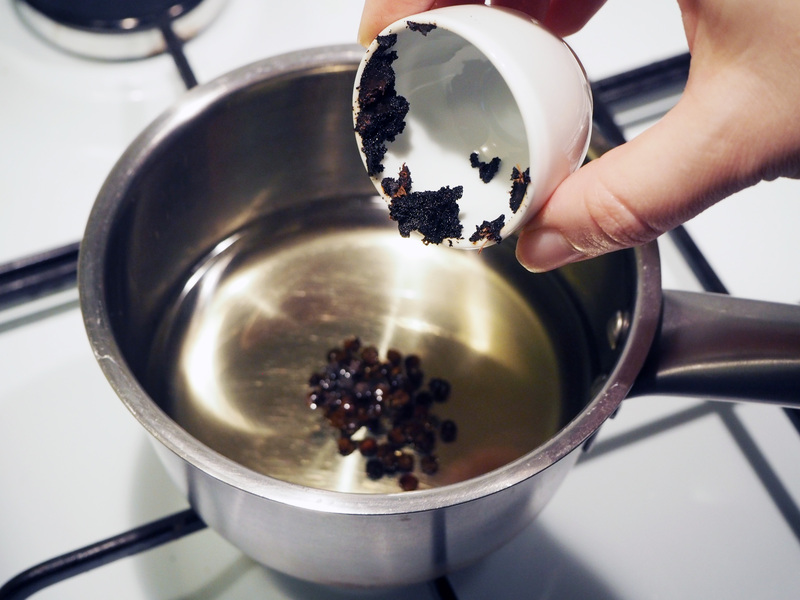 (Sorry, I only had blurry photos of this process… but all you need is mixing…). 7. 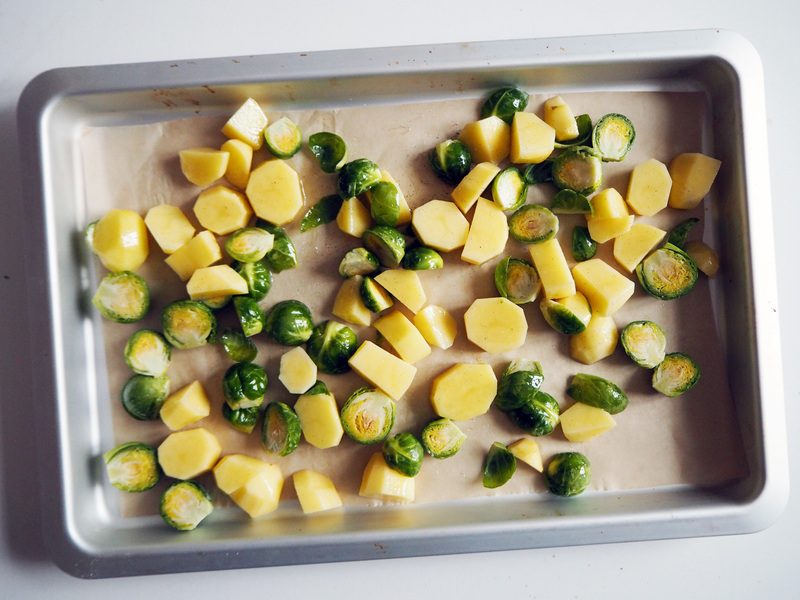 For roasted vegetables, preheat the oven to 180C. 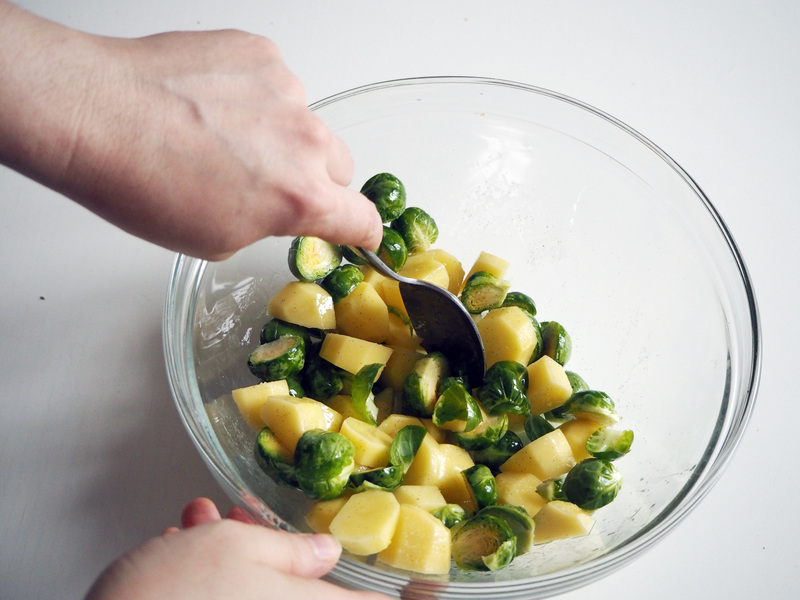 Peel potatoes and sprouts (the outer, not-so-nice layers). Cut them in any shape / size you want. 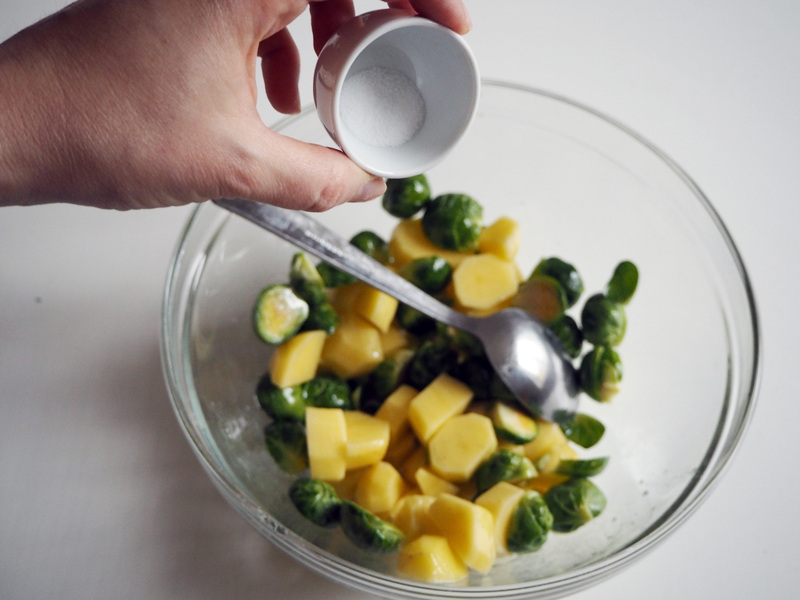 Mix the veggies with 1 tsp of infused oil and a good pinch of salt. 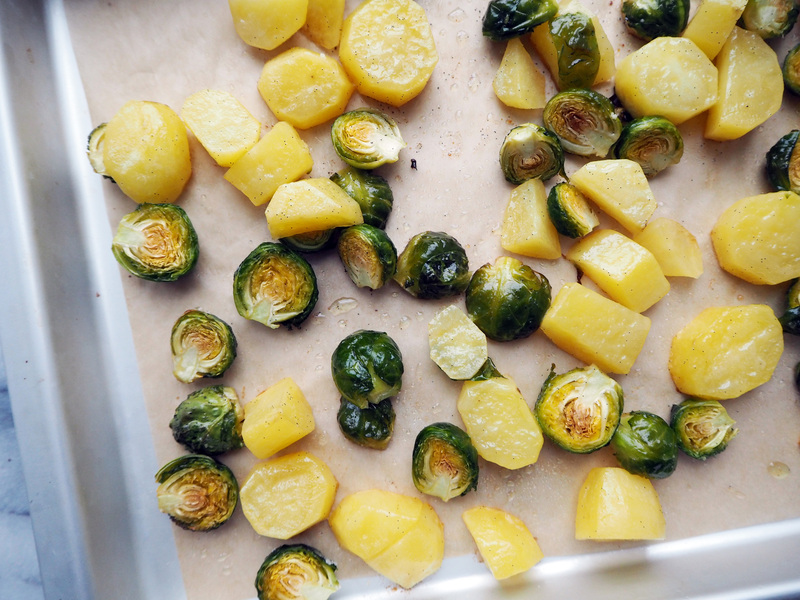 Put on an oven tray with a baking paper and roast in the oven for about 20-25 minutes, until they start to brown. 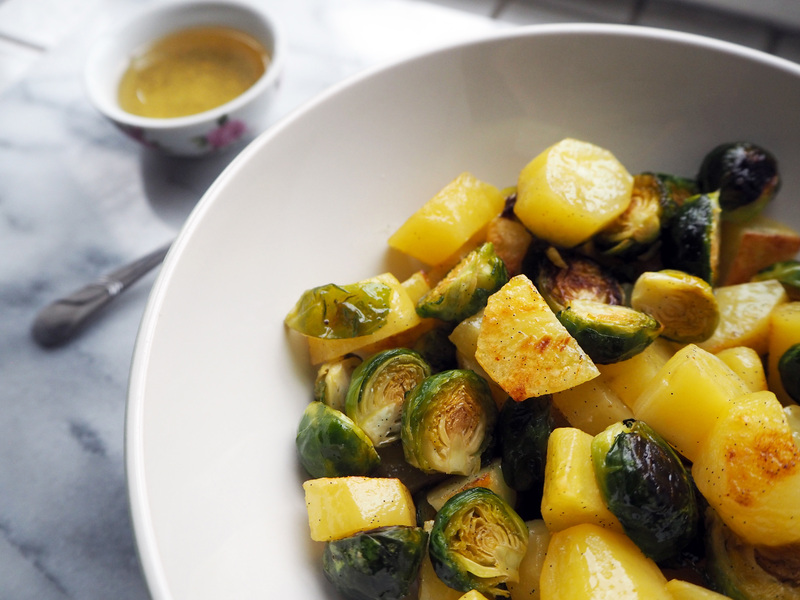 Once out of the oven, mix again with vinaigrette and you are good to go! Enjoy!